Lime based render, mortar, plaster and limewashes offer a wide range of benefits over modern cement based alternatives. However, it must be said that the use of lime and its proven historical pedigree means we may see a greater utilisation of these traditional methods in the modern world. What motivates us is the desire to ensure that said methods are employed with the greatest respect for the traditions and integrity of the past. In short, we strive to continue: “making yesterday a part of today”. 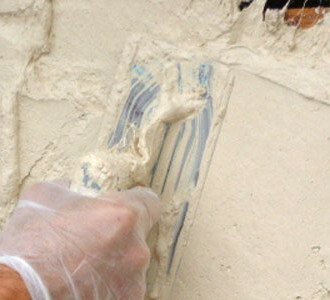 The service we provide covers both internal and external lime plastering as well as contemporary methods and materials. 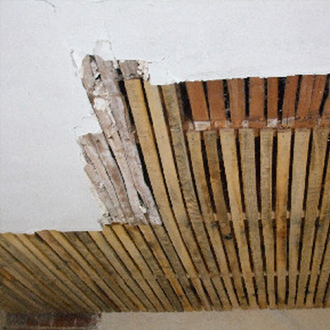 Internal works encompass full or partial restoration of damaged areas to both ceilings and walls. All internal works can be applied to both ceilings and walls. External works include application of render coats using either natural hydraulic lime or traditional non-hydraulic lime to outer walls and re-pointing and repair of damaged mortar joints and stonework. In some cases, extreme deterioration in the original stonework may lead to a necessity for restoration prior to either internal or external works. However, all individual requirements of the customer will be agreed before the start of any contract. 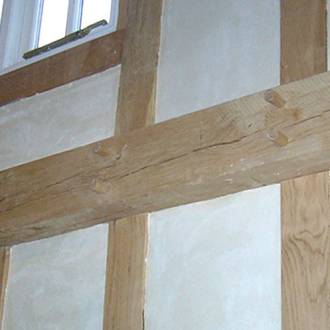 We hired the Lime Plasterers as we had some serious damp issues on our 19th century cottage. The workmanship and professionalism was first class. They were a pleasure to work with and I wouldn’t hesitate to recommend them to others. They were very flexible in accommodating our changing decisions and requirements throughout the whole project. They also came up with some great solutions when something unexpectedly arose.